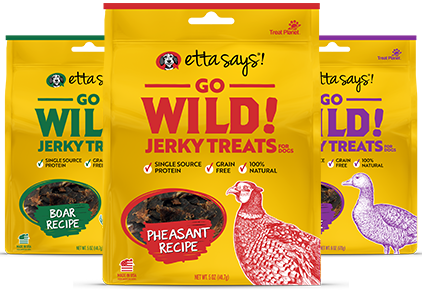 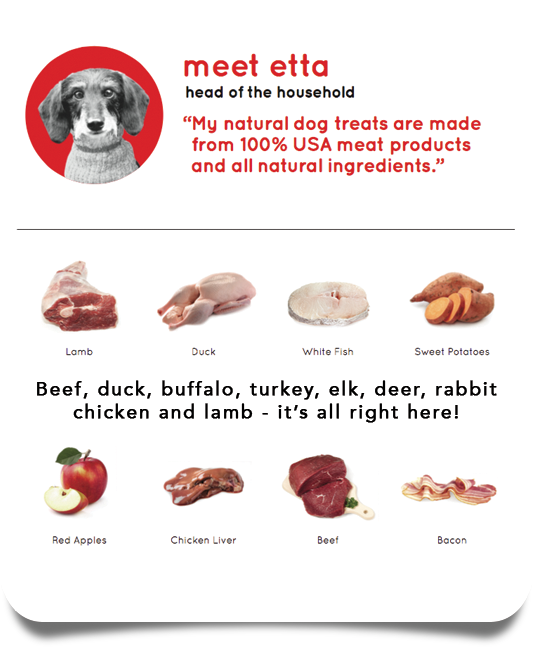 Etta Says – Great treats for pet families who are on the go! 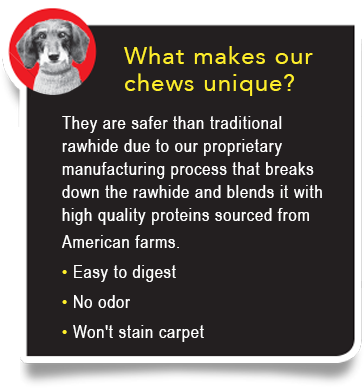 Crunchy Chews made from Unique Protein Sources Provide Longer Enjoyments! 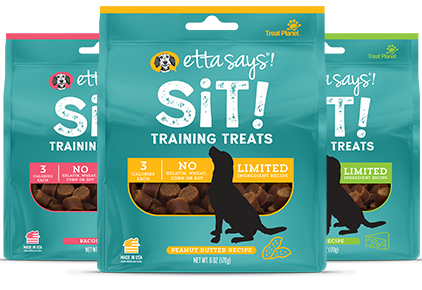 Learn More About These Treats! 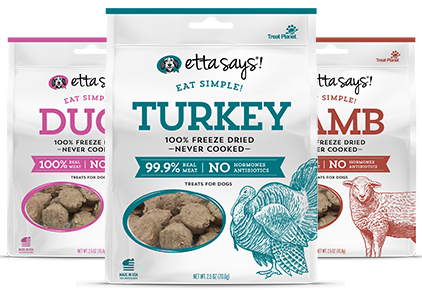 Low Calorie – 3 Calories per Piece – No Gelatin, Wheat, Corn or Soy in Three Delicious Flavors ! 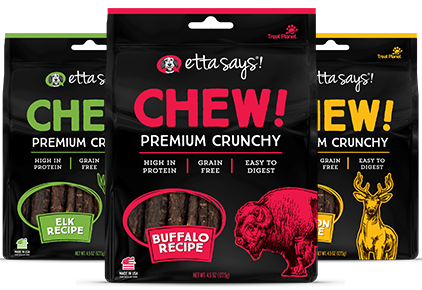 Mega-sized versions of our popular Crunchy Chews! 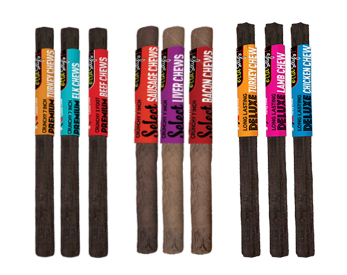 Choose the crunch, pick the protein. 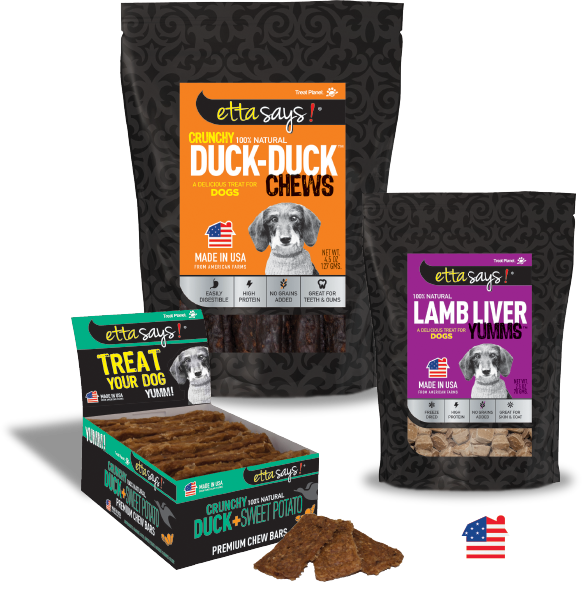 Our most popular chews in 3 hardness levels and unique proteins. 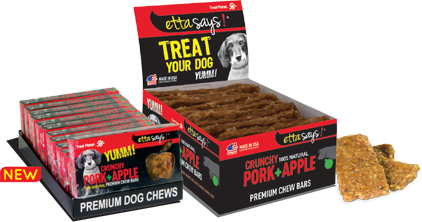 Our most popular chews! 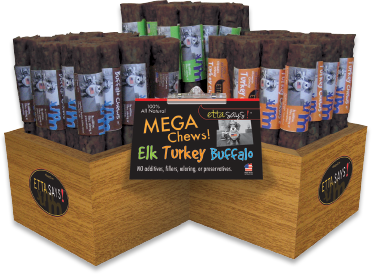 Lasting 3 ft fun for your dog! 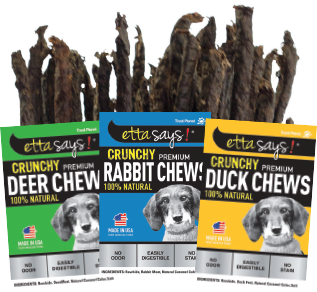 Grab a great treat at the check out counter of your favorite pet specialty retailer with these great chews. 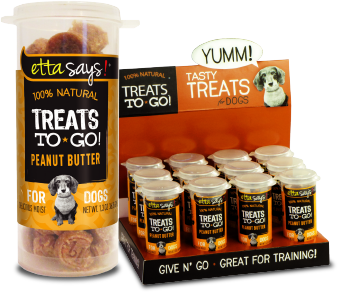 Fun & Unique treats such as Yumm Sticks, Gift Tins, and Treats to Go!